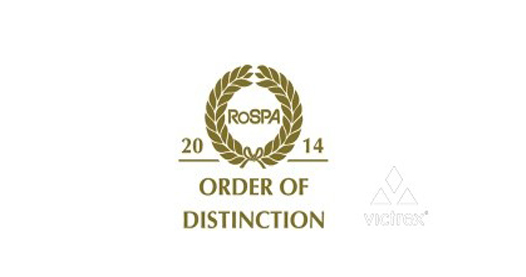 THORNTON CLEVELEYS, UK – (May 15, 2014) – The Royal Society for the Prevention of Accidents (RoSPA) has again recognized Victrex plc for its sustained high level of health and safety performance. The 2014 ‘Order of Distinction’ award was presented to the innovative world leader of high performance polyaryletherketone (PAEK) polymer solutions such as VICTREX® PEEK and PEEK-Optima® after winning 17 consecutive gold awards. “Victrex places the highest priority on the protection of health, safety and environment and is continuously raising the bar. The prestigious RoSPA award recognizes the successful efforts of all employees and our strong risk management culture”, commented Simon Evans, Safety Heath and Environment Manager at Victrex. RoSPA’s mission to save lives and reduce injuries covers all ages and stages of life. In support of this mission, the RoSPA awards, recognize commitment to continuous improvement in accident and ill health prevention at work. Through the awards, which is open to businesses and organizations of all types and sizes from across the UK and overseas, judges consider entrants’ overarching occupational health and safety management systems, including practices such as leadership and workforce involvement. Every day, across the world, millions of people rely on products or applications which contain Victrex high performance polymer materials, from smartphones, airplanes and cars to oil and gas operations and medical devices. With over 35 years’ experience, Victrex is investing in technical excellence to deliver new and leading edge solutions to customers and markets, and at the same time ensuring highest standards to sustain and improve safety, health and environment protection. 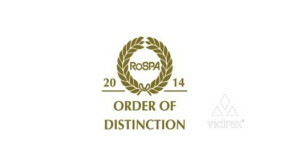 For more information see www.rospa.com/awards and www.victrex.com.